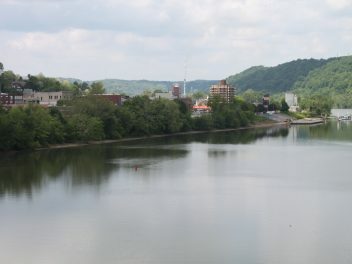 Of all the towns along the 130-mile Monongahela River, only one shares in its name. 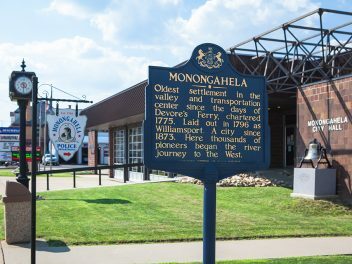 This is fitting given Monongahela’s history as a transportation center supporting thousands of river journeys to the west. 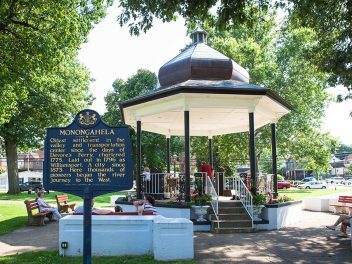 Known locally as Mon City, Monongahela is the oldest settlement in the Monongahela Valley. 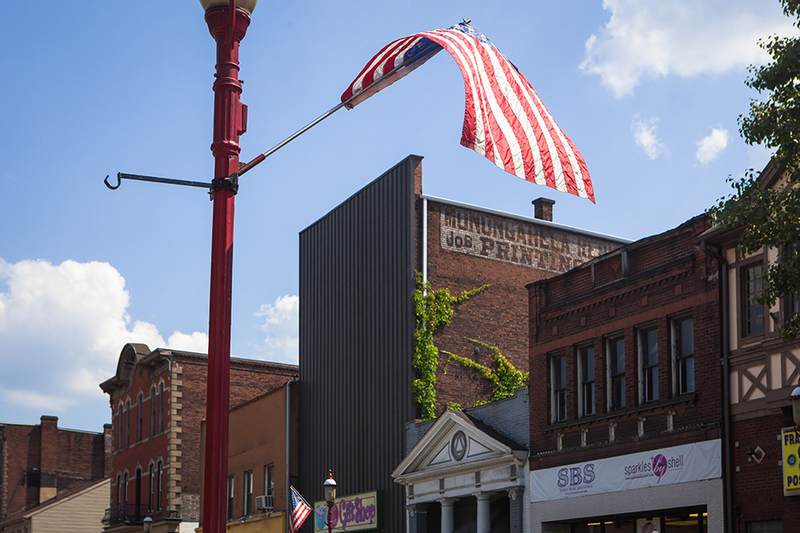 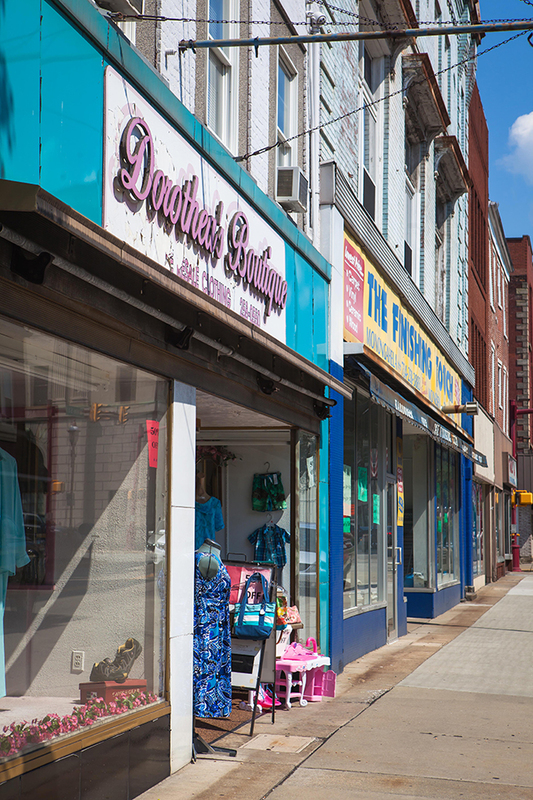 This third class city is located in Washington County, PA, just 17 miles from Pittsburgh. 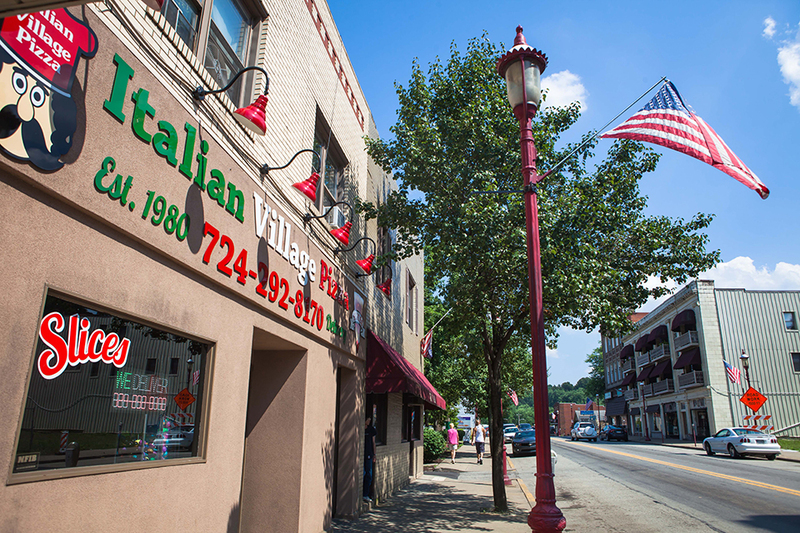 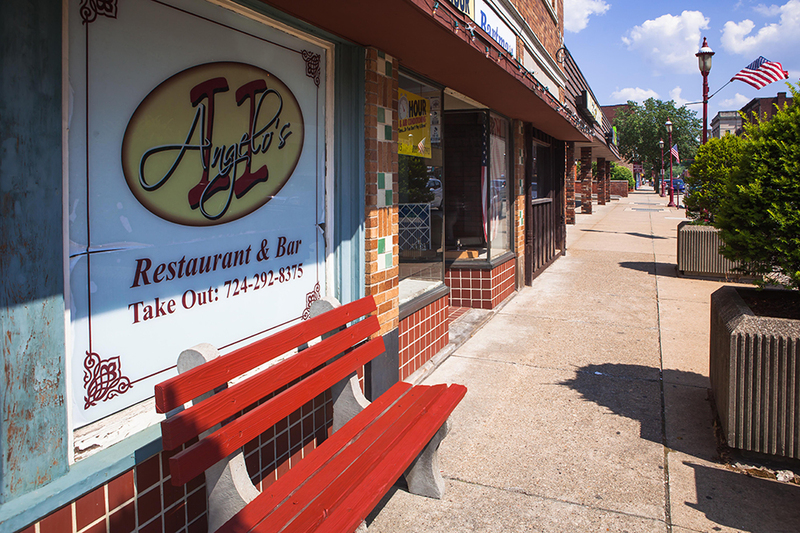 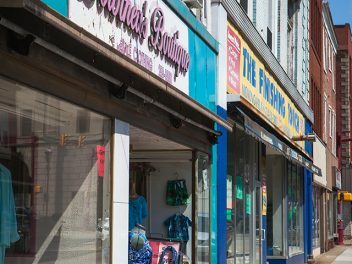 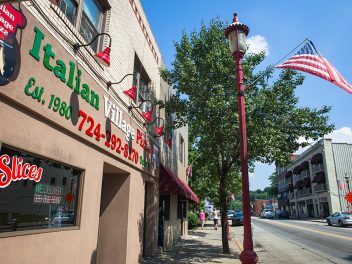 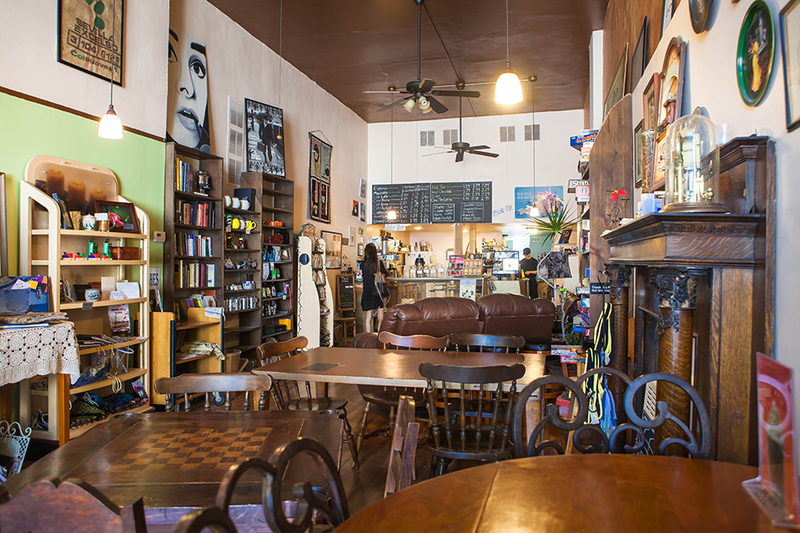 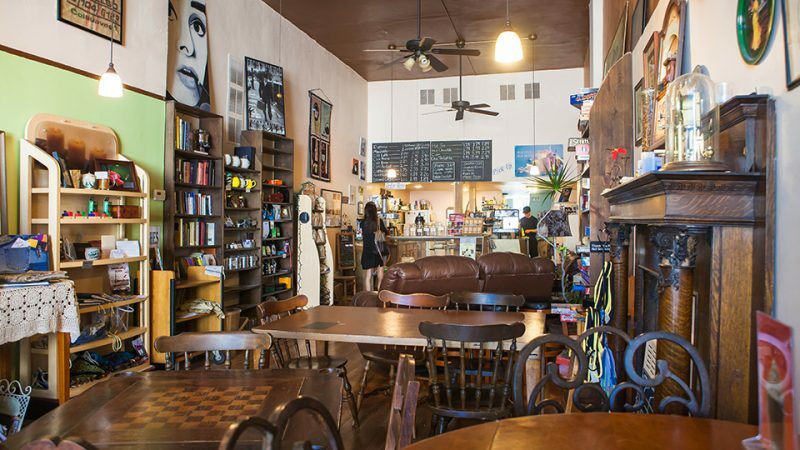 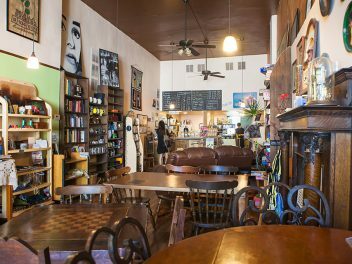 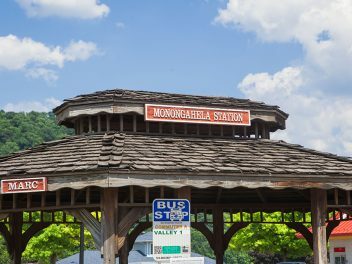 Monongahela has a rich history, no doubt related to its riverside location. 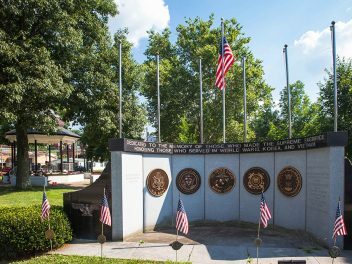 The city includes two Native American burial mounds (read more below), and was the location of a meeting of 226 whiskey rebels during the Whiskey Rebellion in 1794. 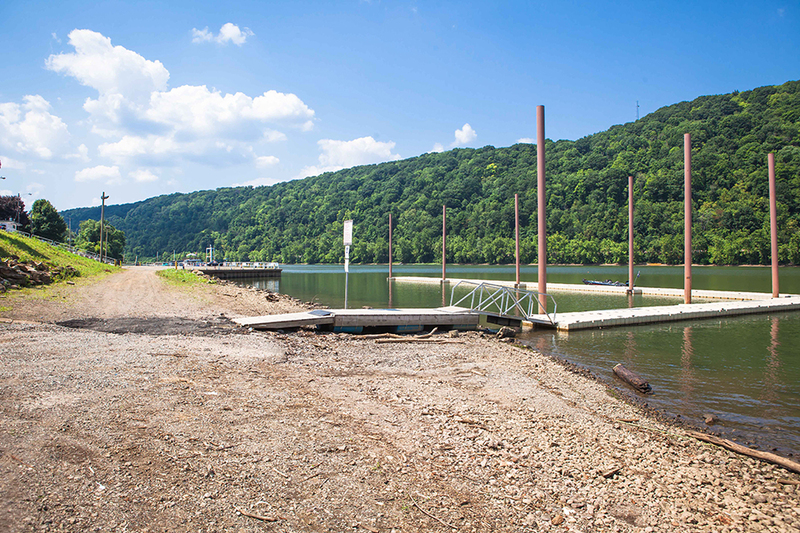 The meeting was held on a bluff overlooking the Monongahela River, now known as Whiskey Point. 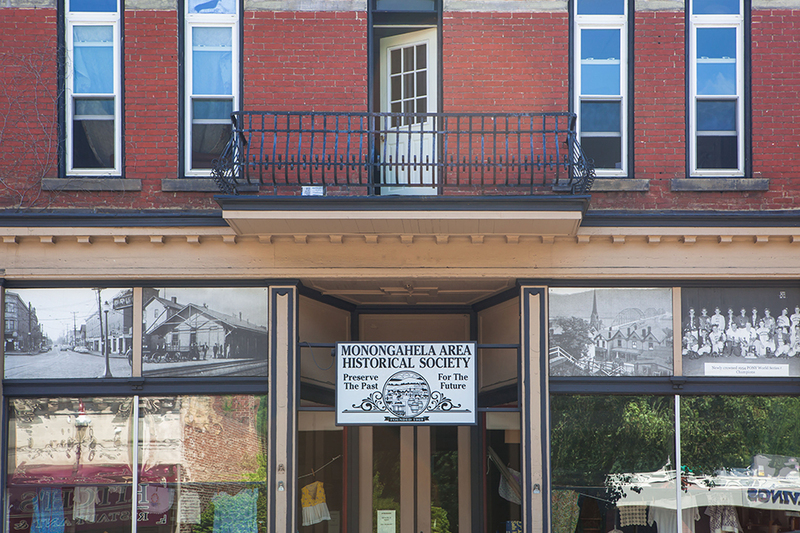 Also of historical note, many buildings in Monongahela, such as the Longwell House and the Bethel A.M.E. Church, were used as part of the Underground Railroad. 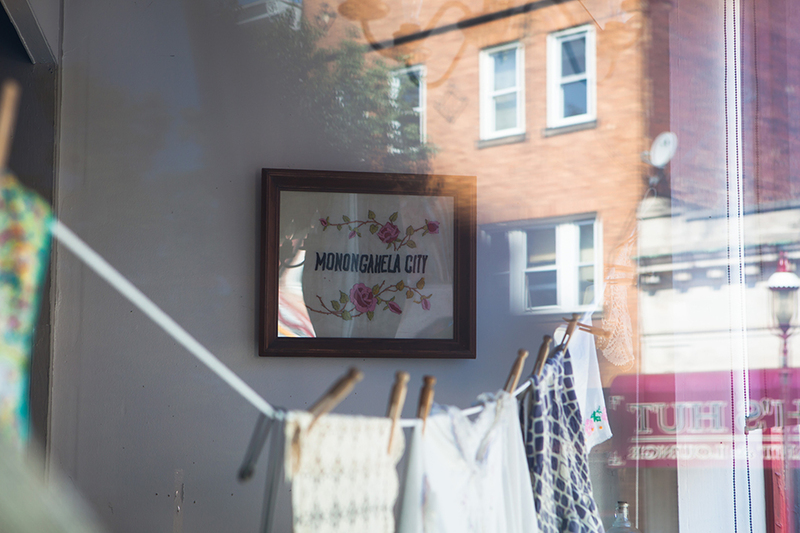 Annual events such as the Rockin’ on the Mon summer concert series and Fleatique on the Mon give residents and visitors a reason to rediscover Mon City’s charm. 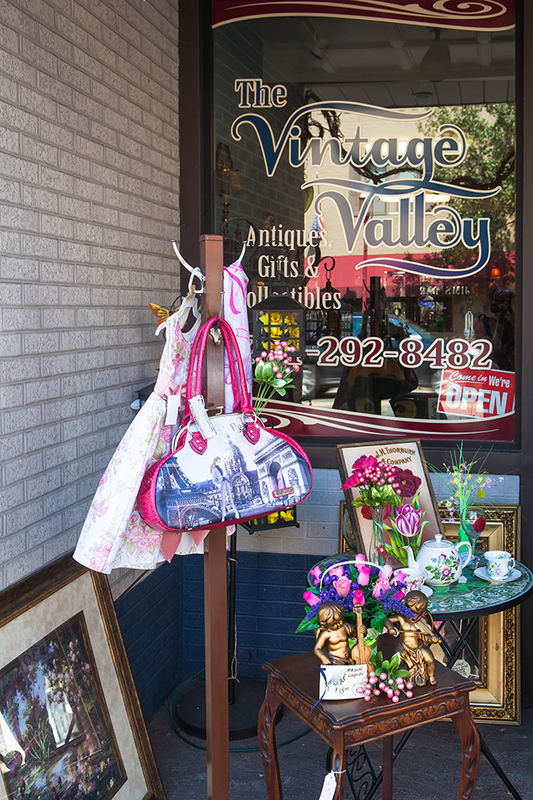 Fleatique on the Mon is a three-mile street sale including homes, churches, and businesses. 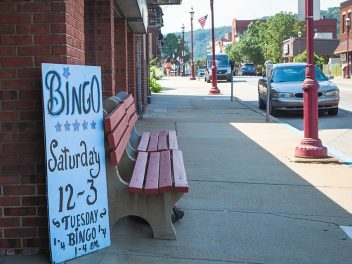 It’s held each June in Monongahela and the neighboring town of New Eagle. 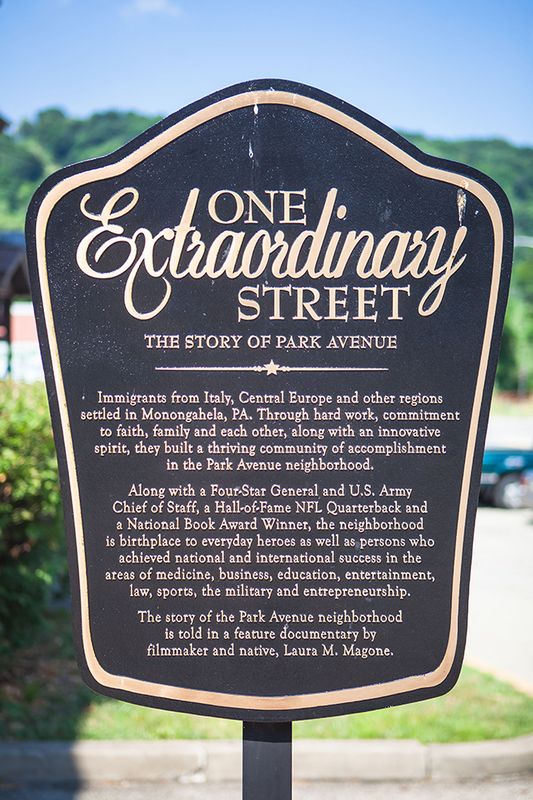 See below for more on Rockin’ on the Mon. 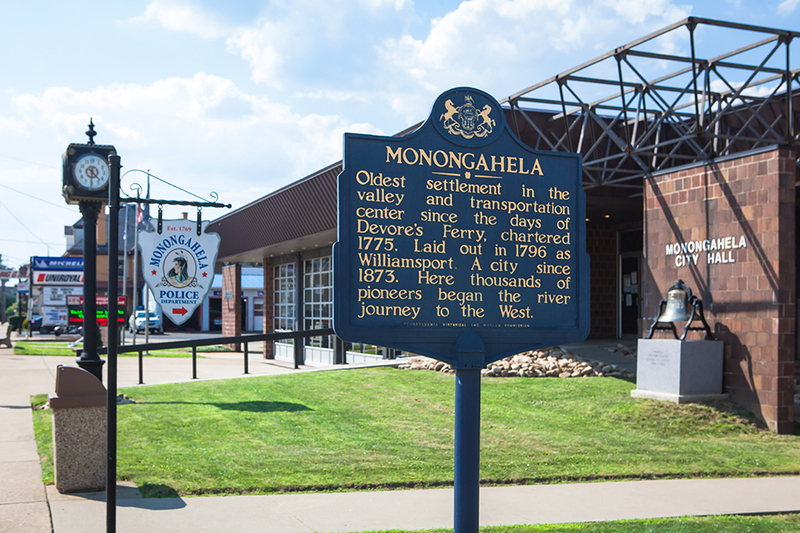 Some Mon City trivia…Monongahela is the hometown of famed NFL quarterback Joe Montana. 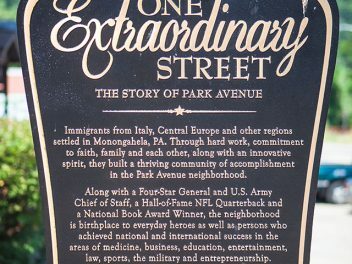 Motorists on the Mon Valley Expressway might notice twin bridges named the Joe Montana Bridges. 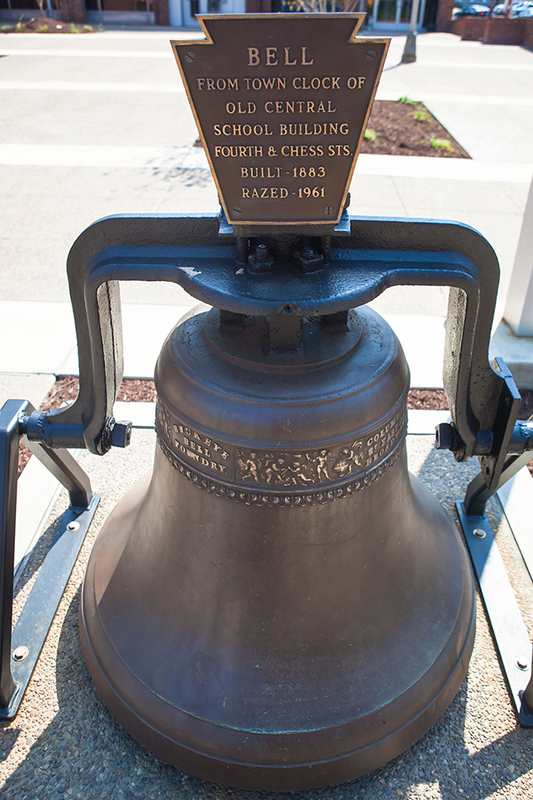 Chess Park is a local park near the center of town, complete with a lovely gazebo. 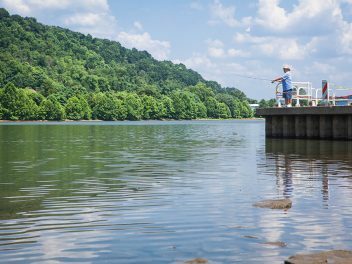 Mounds Park is the site of two Native American burial mounds built by the Adena culture over 2,000 years ago. 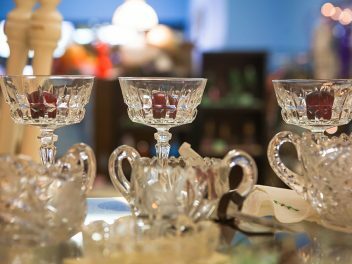 Late 19th century excavations found skeletons, pottery, copper implements and other antiquities. 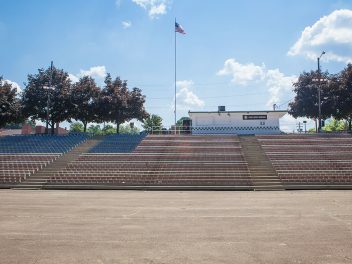 The site today hosts a local playground and sports complex. 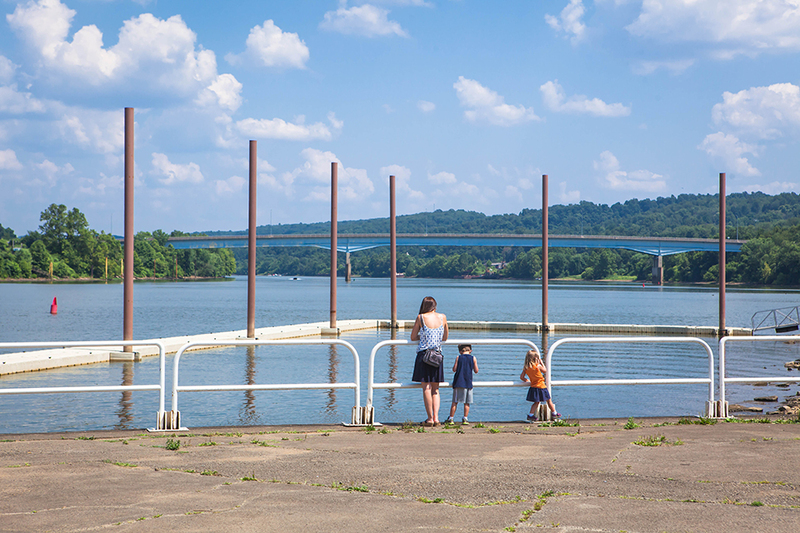 Other local attractions include the Monongahela Aquatorium (see below) and two museums – the Historical Society Museum and Monongahela River Museum. 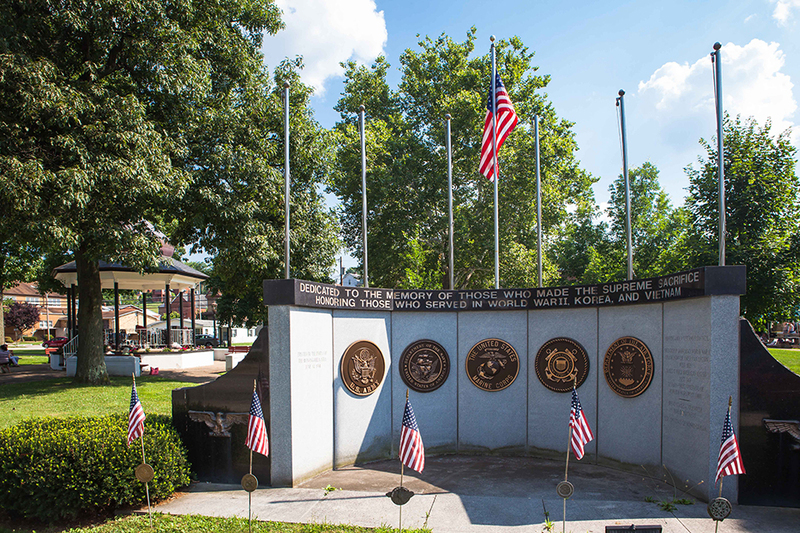 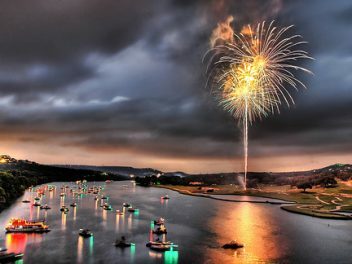 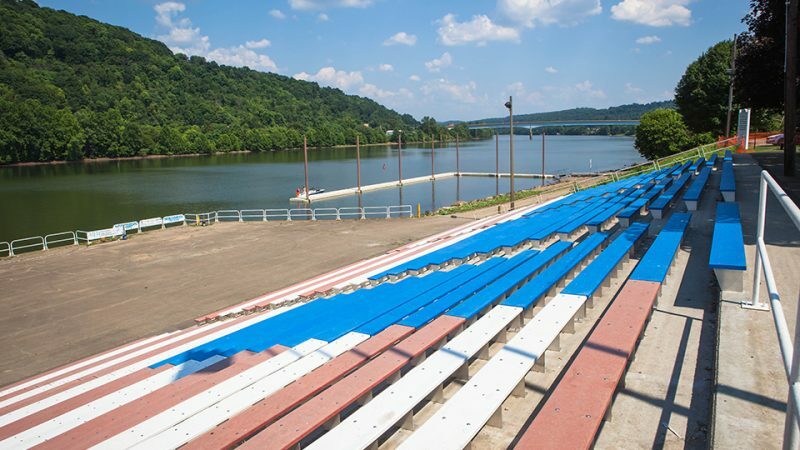 Monongahela Aquatorium is the first of its kind in the United States, and hosts the annual July 4Th Fireworks Extravaganza, local fairs, concerts and other outdoor entertainment. 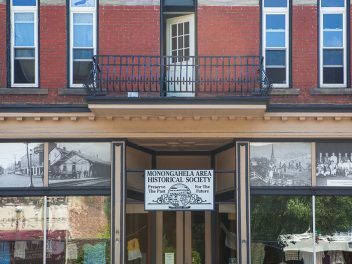 Monongahela River Museum, located at 175 Second Street, commemorates the long association the valley towns have had with the river trade. 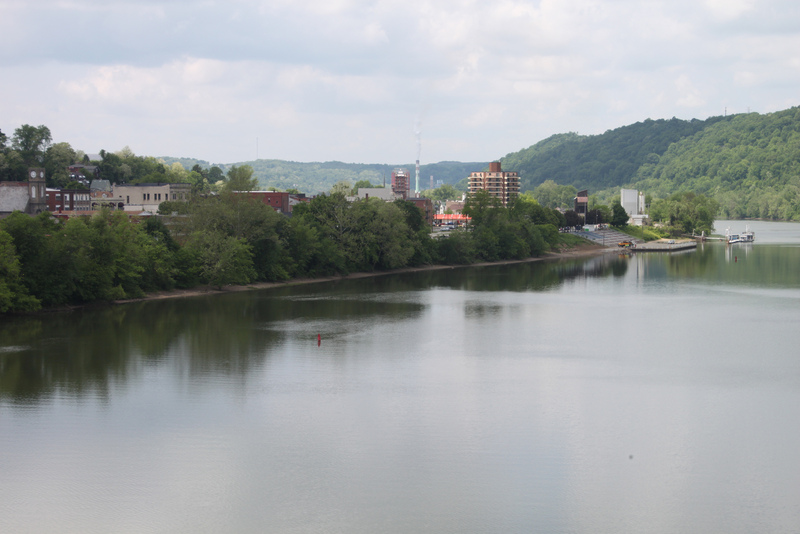 Steamboats had dominated the western transportation for most of the 19thcentury with over 3,000 steamboats built during this time and 80% of those built in western Pennsylvania. 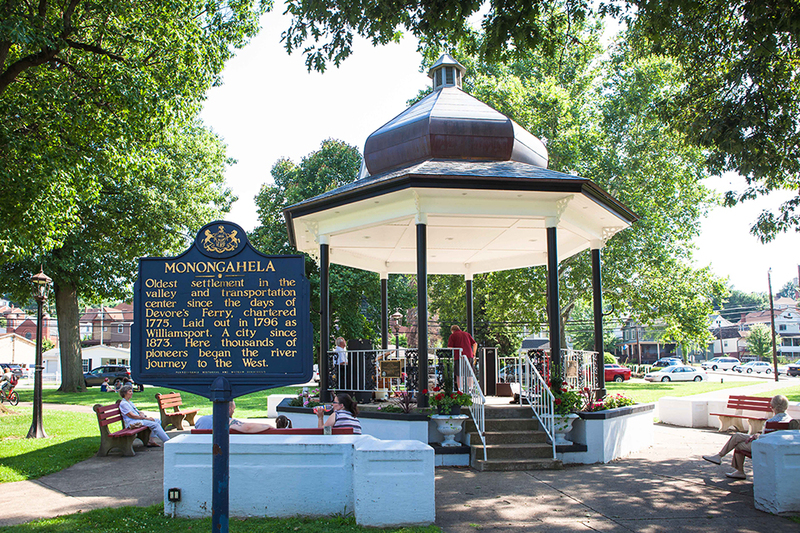 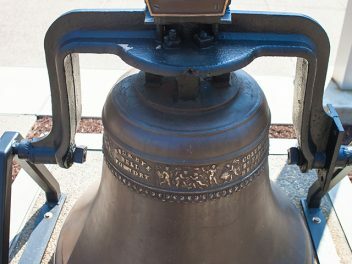 The Monongahela Area Historical Society covers a broad spectrum of local history, including the Whiskey Rebellion, historic homes, local churches and architecture, especially by John Blythe. 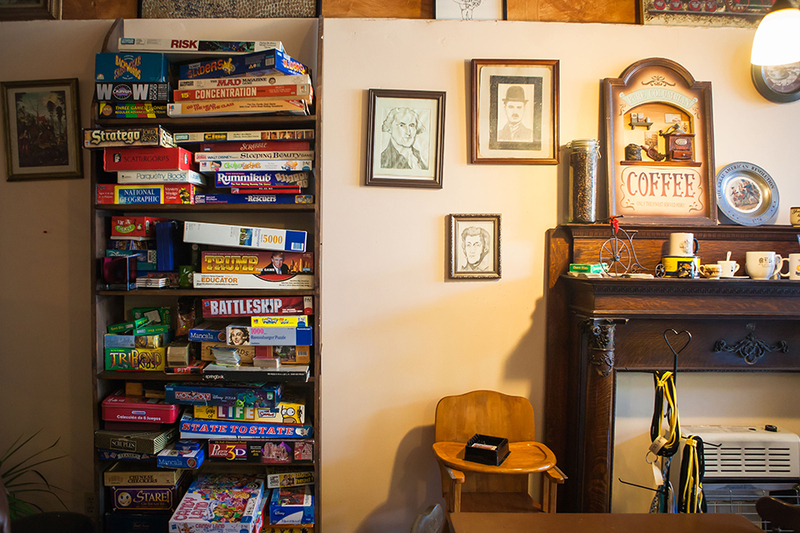 Edward G. Acheson House, built in 1890 and a National Landmark since 1976 is the house in which the inventor discovered carborundum. 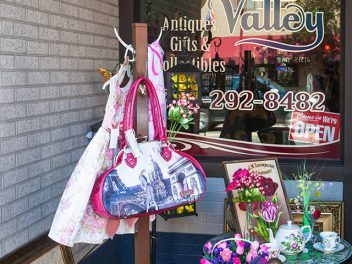 The Farmers Market is a valley crowd pleaser with fresh produce from local farms as well as other delights from various entrepreneurs. 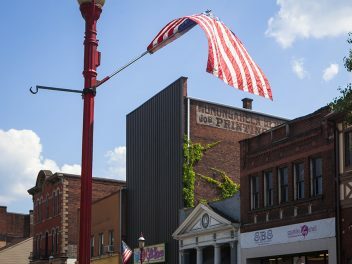 Art in the Park is held alongside the Farmers Market for the first Fridays of every month, as a venue for local artisans. 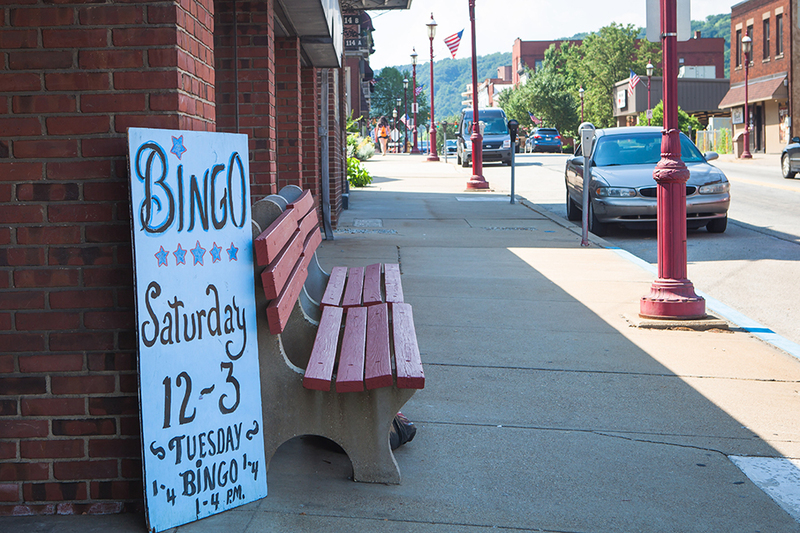 Fleatique on the Mon, known as the largest street sale in southwestern Pennsylvania, runs along a three mile stretch of Main Street, which is Route 88, 837 and 136 in Monongahela and New Eagle. 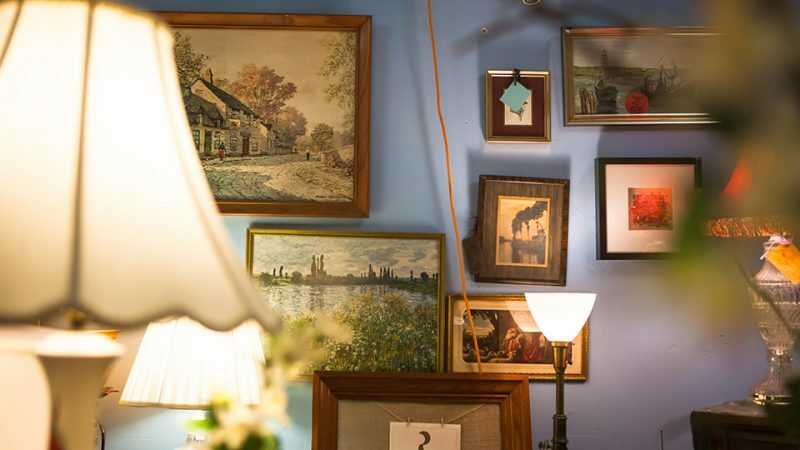 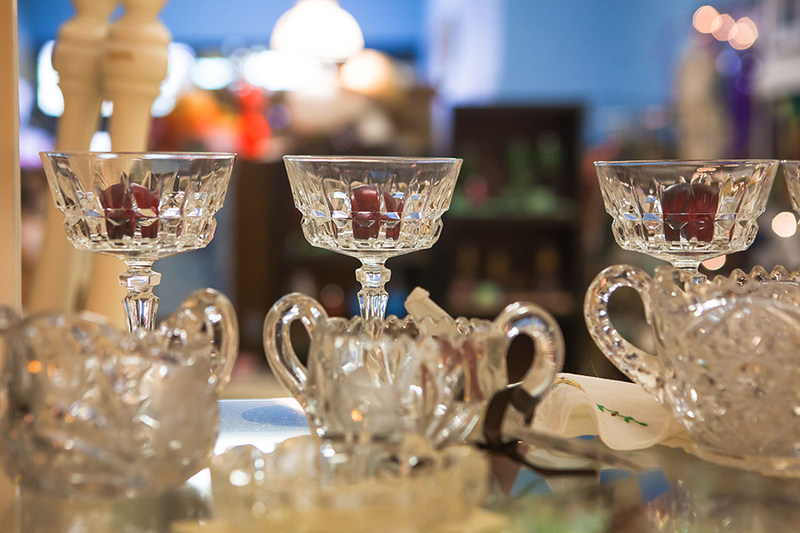 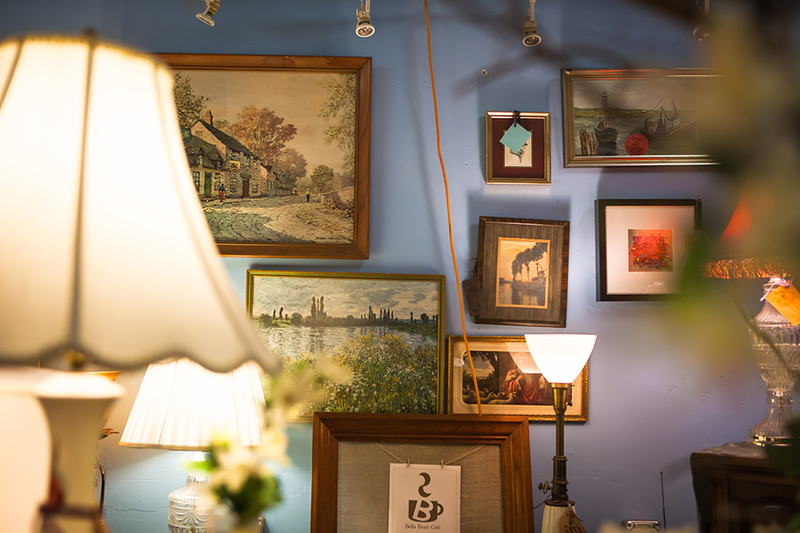 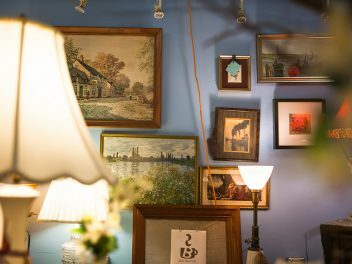 Antique shops, businesses, churches and homeowners participate with yard sales, bazaars, rummage sales and garage sales; held the first Saturday of June, rain or shine. 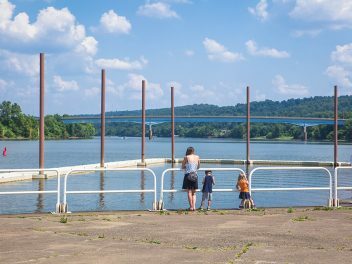 The Monongahela Aquatorium is an invaluable asset to the Mid-Mon Valley; it is simultaneously totally unique and typically American. 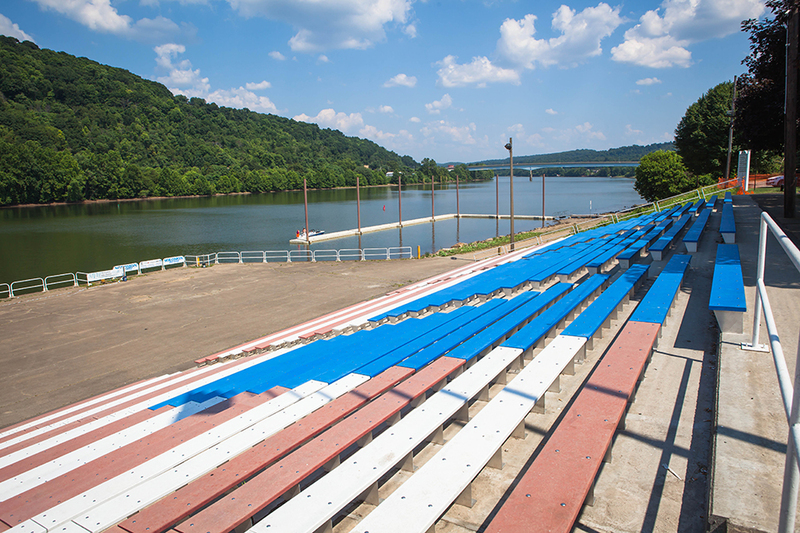 The aquatorium is an amphitheater situated along the Monongahela riverfront, right in the heart of Mon City. 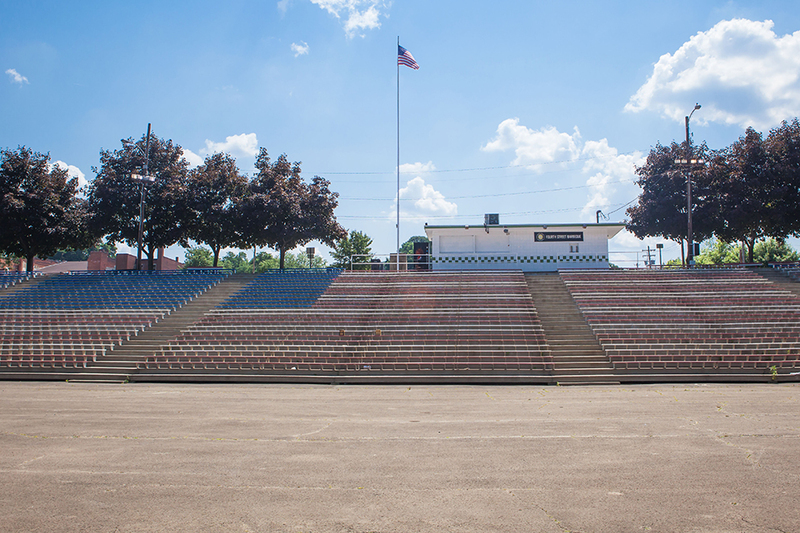 It first opened in 1969 as the first of its kind in the nation. 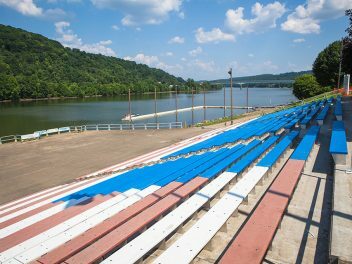 This “super-sized” outdoor auditorium located on the banks of the Mon connected local residents to the river during an era that undervalued riverfront access. 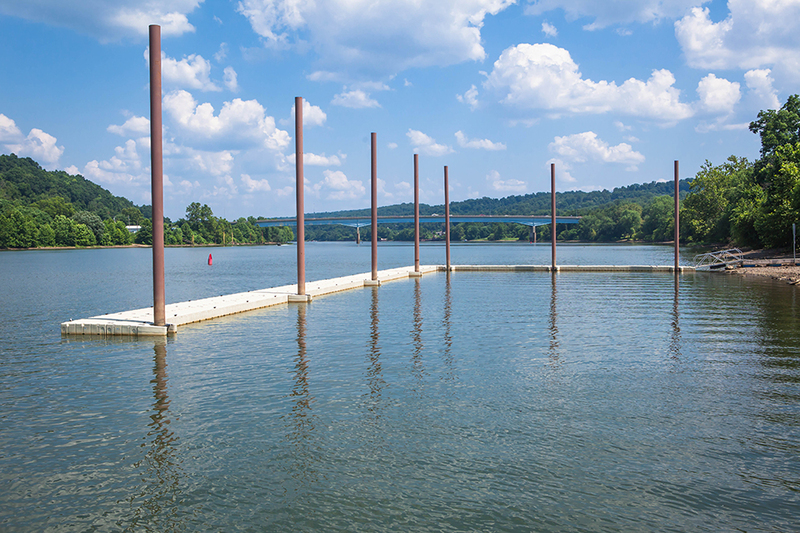 The aquatorium was renovated in 2013 and remains one of the area’s true cultural treasures, the type of place that makes Mon City and the region as a whole so wonderful. 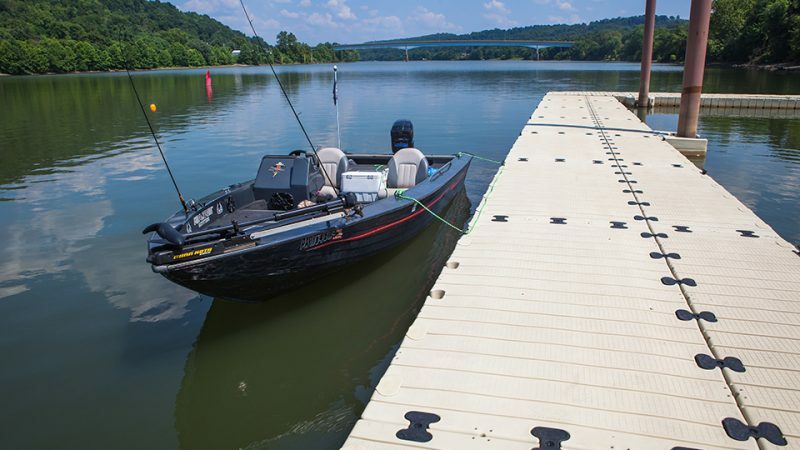 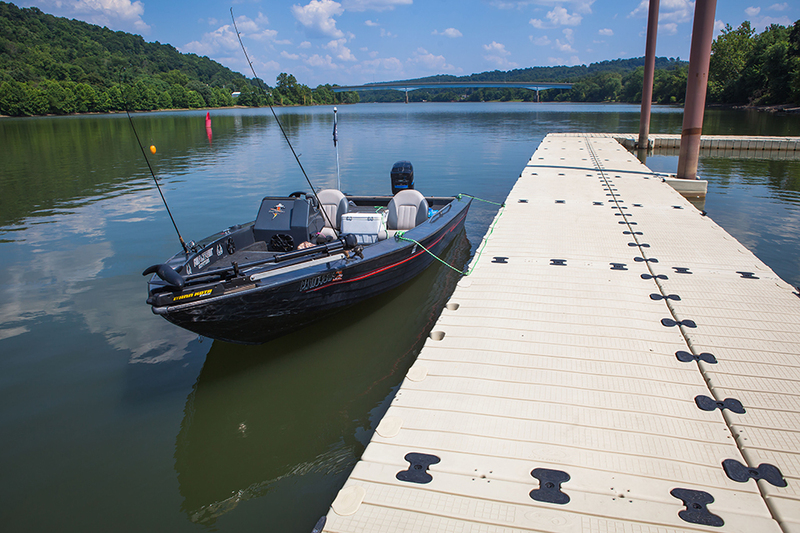 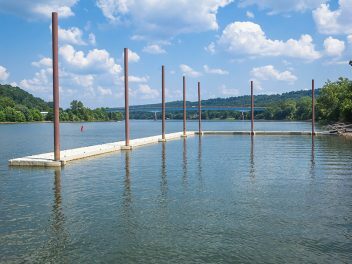 The 3,700 seat facility includes guest boat docks so that the shows can be accessed by both land and water. The aquatorium comes alive in the summer months with the Rockin’ on the Mon! 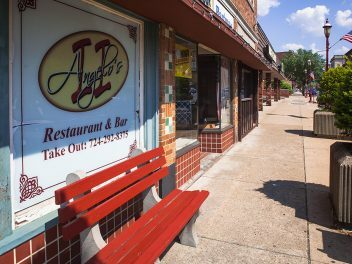 (TM) summer concert series, live theater performances, and other events. 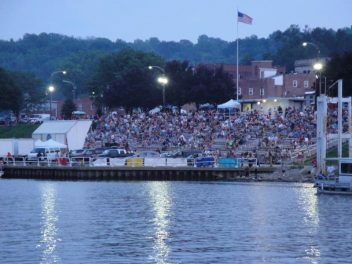 Any given evening at the aquatorium can be one of the best nights all year with warm summer breezes blowing down the river, the music and lights bouncing off the water, and performances with the river and its banks as the backdrop. 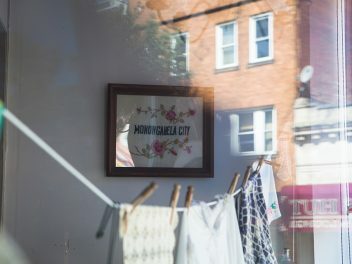 For a schedule of Aquatorium events each summer visit http://www.monaquatorium.org/. 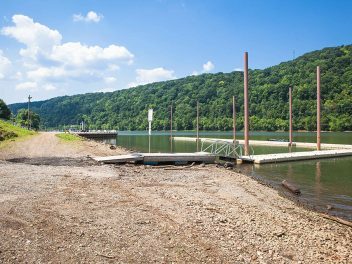 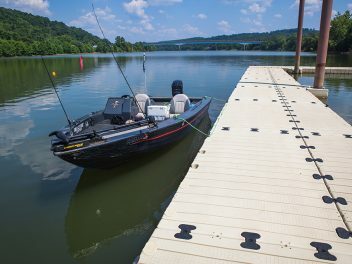 Those looking to access the river itself for paddling and boating can either use the surfaced ramp at the auqatorium or the Pennsylvania Fish and Boat Commission ramp off of Nelson Street. 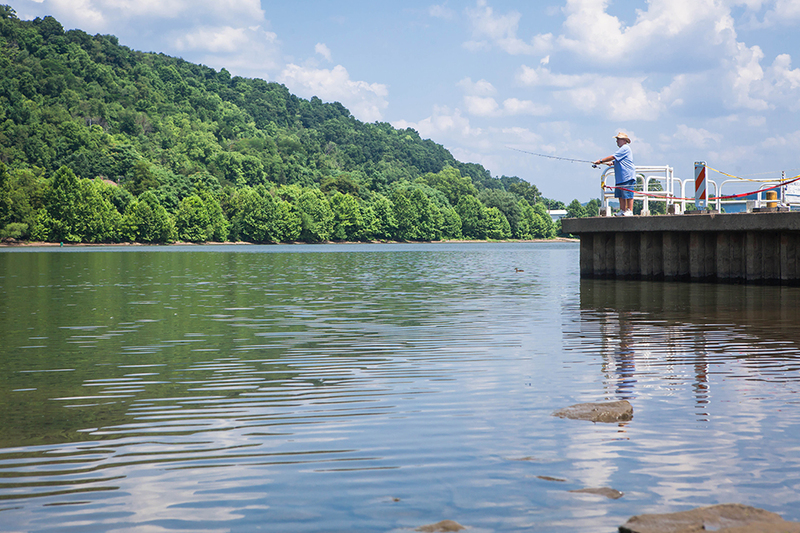 The aquatorium is a popular fishing spot for kids of all ages. 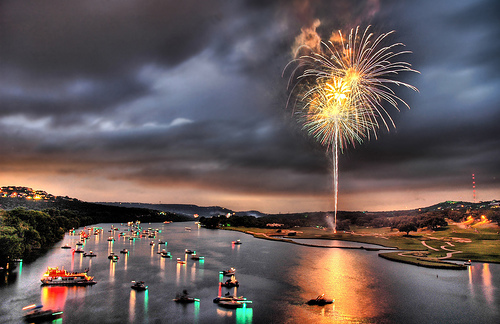 A fishing tournament is held there every June.